Every year on November 1, we celebrate All Saints Day, also known as the Feast of All Saints. As the name implies, this occasion honors all those who have entered heaven and these include the saints who are recognized by the Catholic Church and those who are not. All Saints Day is a Catholic Holy Day of Obligation which means that all of us who are members of the Catholic Faith are required to attend Mass on this day unless we have a good reason to be excused such as illness. Aside from going to church, there are many other Catholic traditions that we can practice to celebrate All Saints Day. Here are eight ways that we can commemorate this meaningful occasion. The saints lived lives that exemplified what it means to remain faithful and righteous in the midst of life’s difficulties. Learning about their struggles and triumphs offers us a great opportunity to grow in our own walk of faith and what better time to do this than during All Saints Day. Set aside time during this special day to read stories of the different saints. There are many Catholic books narrating the lives of saints. You can make this activity into a family affair and have everyone share their thoughts and realizations about what they have read. 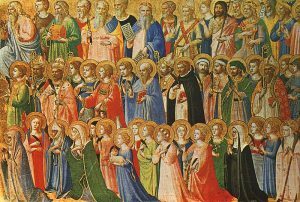 The Feast of All Saints is beautiful because it reminds us that we have saints in heaven who are praying for us and looking out for our welfare. Prayer is an important part of our Catholic Faith and asking the saints to intercede on our behalf makes it even more powerful. Spend time during this special day to reflect upon your current struggles and concerns and then ask your chosen saint to intercede for you. You can also ask your loved ones and family to join you in prayer. 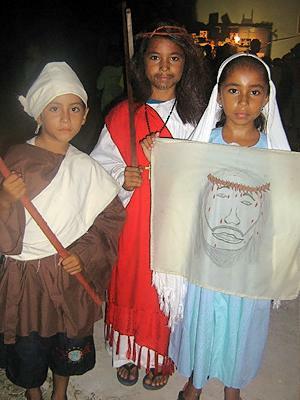 You can make All Saints Day more fun and relatable to children by making them dress up as their favorite saints. This is somewhat timely because dressing up in costumes is a popular Halloween practice. Halloween happens the night before All Saints Day and because of this these two occasions are often closely associated. Throw a costume party for your little ones. Make the party more significant by encouraging them to read about the saints so they can give short presentations about what they learn. All Saints Day should be meaningful to us as individual Christians and as members of God’s family. Make this feast day more memorable for you and the important people in your life by hosting an All Saint Day get-together. Pray before and after this special event. Include a special portion in which you can deepen your understanding about what it means to be a saint for example watch a movie or documentary that tackles this subject or read a Catholic book together. Your All Saints Day get-together can be a simple lunch or an elaborate dinner party. The important thing is that you and your family share this special occasion together and learn something from it. Carving pumpkins is one of the traditions popularly practiced during this time of the year. You can carve pumpkins on your own or make it a group project which you and your whole family can join in. This activity is a fun way to express your creativity and not to mention it is an excellent bonding moment. 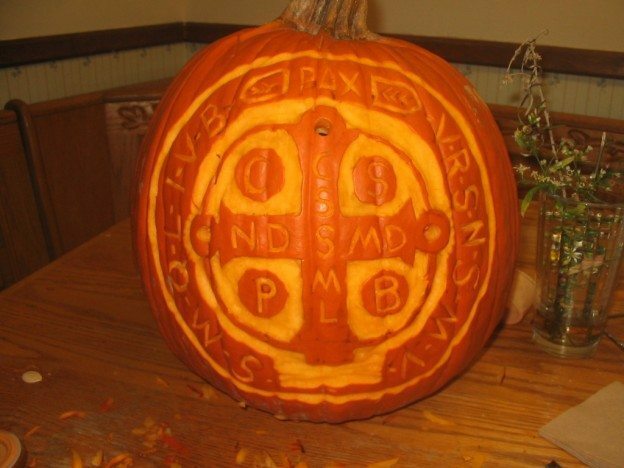 Make your pumpkin-carving activity more relevant to its religious roots by using Christian symbols and themes. Instead of just going with the usual spooky pumpkin face, encourage participants to carve a cross, the ikthus shape, the Holy Trinity and other religious symbols on the pumpkin. Gift-giving is a great way to express our love and affection toward the people close to us during special occasions. Remind your family and friends about All Saints Day by giving them a gift that captures them of the meaning of this day. Your gift doesn’t have to be grand or expensive, a simple one that serves as a beautiful reminder about what it means to be a saint should be enough. Some gift ideas for All Saints Day include books about the lives of Saints, a Bible, medals that feature the saints and prayer cards. It is important to always make the Word of God a part of our daily lives and more so during Catholic holidays like All Saints Day. Start this day right by meditation upon the Word of God, giving special attention to Bible verses that talk about what it means to be a saint. Love the LORD, all you who are faithful to him. The LORD protects the loyal, but repays the arrogant in full. ​Therefore, from the day we heard this, we do not cease praying for you and asking that you may be filled with the knowledge of his will through all spiritual wisdom and understanding to live in a manner worthy of the Lord, so as to be fully pleasing, in every good work bearing fruit and growing in the knowledge of God, strengthened with every power, in accord with his glorious might, for all endurance and patience, with joy giving thanks to the Father, who has made you fit to share in the inheritance of the holy ones in light. ​And the one who searches hearts knows what is the intention of the Spirit, because it intercedes for the holy ones according to God’s will. Do you have any special plans for All Saints Day?